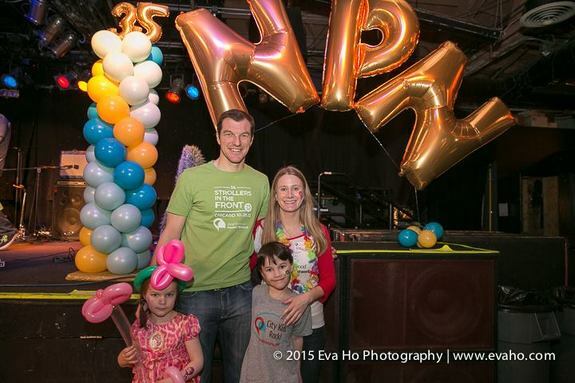 Obviously, we think joining NPN is an essential part of being a connected, informed and happy parent in Chicago. And for today, February 29 (a.k.a. Leap Day), only, new memberships and renewals are just $29 with promo code LEAPDAY2016. That kind of deal only happens every four years—take advantage here! Need more convincing? Check out our list of stellar member benefits below. But first, a little background on NPN: We are a 501(c)3 non-profit organization that is dedicated to connecting parents with the resources they need to navigate parenting in the city. What started with a couple of families at a backyard barbecue in 1980 is now a membership-based organization comprised of more than 6,000 local families. Impressive, right? Here are 8 reasons why an NPN membership is indispensable. 8. Parent to Parent newsletter - Our quarterly print newsletter is filled with parenting advice and stories from our members. 7. New Moms Groups - New Moms Groups (and Mingles) are fun ways to connect with other new moms! Meet moms who face the same changes, challenges and joys you are experiencing as a new parent. Many of our New Moms Group members continue meeting for years after their "official" group ends. 6. School Search - There is no better comprehensive resource for Chicago school information. We have the most robust and updated school directory that you can search with your own criteria, small group school coaching, monthly school choice programming as well as our two BIG annual School Fairs. Perfect for parents who don't know where to start with their search. You can also visit our active online discussion forum to ask other local parents about experiences they've had with certain schools. 5. Parent Perks - Your NPN membership gives you thousands of dollars of potential discounts from local and national businesses. There are far too many to list, but the feedback we get from parents about how much money they save is AMAZING. A friend of mine called me recently to say that she had saved more then $200 on summer camp alone. That's more than three times the cost of her membership. No brainer! 4. Expectant Mom Mingles - Relatively new to NPN! We're gathering the gals for a fun night of mingling, manicures, chair massages, snacks and loose programming related to loving the pregnant you, along with mini maternity photo shoots for each attendee. Come to relax and meet others just like you! 3. Discussion Forum - Need a safe place to ask veteran parents questions about, well....everything? The NPN main discussion forum is chock full of questions and answers about everthing from labor/delivery to where to find a plumber on a moment's notice. You can post as yourself or totally anonymous for those uncomfortable questions. Log in and join the conversation. 2. Parent Education - NPN hosts 30+ parent workshops per year with some of the most well-respected experts in their fields. From how to prevent and treat sleep problems with Dr. Marc Weissbluth to potty training and everything in between, NPN has a workshop for you. 1. Childcare Classifieds - There's really no better place in town to start your search for a nanny or childcare provider. NPN families are wonderful about sharing their experiences with providers and want to help you find the best person/facility for your family. Many times a family that no longer needs their nanny and will post on their behalf with a glowing review of how they've become a part of their family. As with most big decisions, using personal recommendations to guide your search can alleviate a lot stress and worry. Missed out on the Leap Day discount? It's still less than $4.95 per month to enjoy all of these member benefits! Convinced? Sign up now. If you'd like to test the waters before diving in, sign up for a trial membership.